A graduation party doesn’t need to be extravagant, as long as your grad is happy and they are surrounded by their closest family and friends is all that matters. 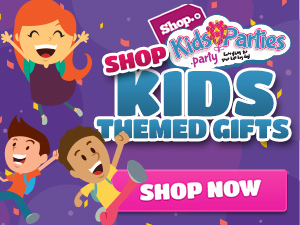 KidsParties.Party features everything you need to make this day special, from formal events to backyard parties. KidsParties.Party features event entertainment services throughout the country. The best part is, you’re not limited as to what constitutes a graduation party. Host an elaborate affair at a banquet hall, throw a pool party in your backyard with gourmet catering or take your child and their friends somewhere fun and unique, such as a family fun center or arcade. Need suggestions? KidsParties.Party can help you connect with party places, entertainers and businesses in your area. Call 732-298-6015 and speak to a representative today. Have your checked out our blog? We have lots of party tips and other advice just for you!